i have one qsl of 8A4EI PSE ask kazu did he receive the qsl????? > My friend Kazu/JH1QVW would like to confirm for IOTA OC-204 8A4EI. > This operation was gone for there on 1997 March. > The QSL manager is YB0RX. And I QSLed from YB0RX. > Kazu have sent YB0RX his SASE at March 2010. > But He don't receive YB0RX's QSL card. > If you can, please check for YB0RX information. John-san, Very sorry. Antenna pole CP-80L is not so good. It's weak for strong wind. If you can, please get in Pecanbaru or Jakarta. Pole cost 510USD is sent you. Ok Shu san...I will try to find in Singapore may be I can get it...that IS vy closed from Batam. Thank you very much for your understanding. Arigatou-Gozaimasu. Anyway, it's great news for small Island expeditions. Please go there freely. to November with our event. I will chek for transporation to go there, and make my schedule hope on the midle of June I can try to make The FIRST trip. June". You can received around 21th June. OK! John-san. I will start to gather the donation for Japanese friends. And I make a plans for OC-109 and OC-122 for GDXF and IREF on Oct and Nov 2013. I send you my application for OC-109 and OC-122 after few days. Thanks John-san. If you send The antenna what address you used. 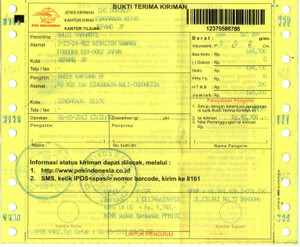 I think better u send to my address in Jakarta. Yes, John-san. I will order to Antenna maker soon. he says he build up on 17th June. 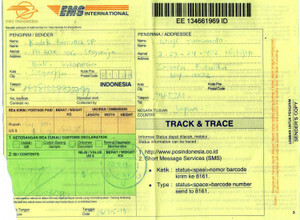 I check how to send your Jakarta direct or via JN6RZM. I and Toshi JG1UKW are very interesting. 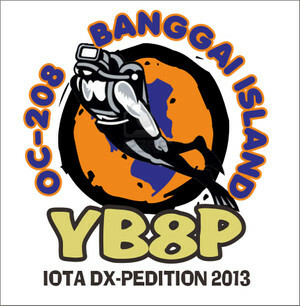 Adhi will try to active as YB3MM/P from Karangjamuang Island OC-237 on 1-2 June 2013. 15m band SSB only using 3 ele yagi. If you decide those plans, I begin to gather donation for JA friends. I have now 230USD for OC-109 and OC-122. I think you are very popular. I will buy HX52A antenna and send to you or Anton-san. You may receive this antenna till 10th July. And JG1UKW Toshi says we send you antenna-mast. But it's expensive. Please check this website. Sorry Japanese language only. Please check this pole. You can set up this antenna very very easy!! I think if you are OK, we will get the donations from Japanese　friends(600USD),　W2FB(250USD),　GDXF(400USD)+IREF(500USD). And I will use antenna(650USD)+postage(110USD)+Tax(100USD)+QSL card(300USD), Total 1,160USD. Toshi proposed you may have CP-80L antenna pole. It's cost are pole(410USD)+postage(50USD)+Tax(50USD),Total 510USD. Please check this antenna pole. 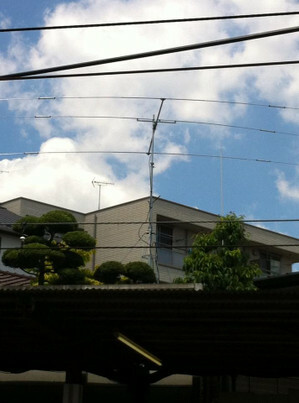 Please use this antenna for testing from July to September. I think OC-109 date is OK for 18-21th October and OC-122 for 15-18th November. This is OK for contacting with East coast. 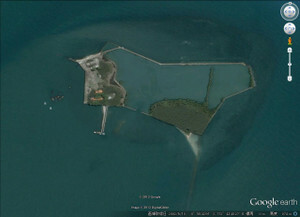 If you can, please try to go near Island from June to September freely. How about my opinion? Your opinions is good and I agre for it Shu san, I will tell Anton I think he's OK too. approximate time-table for sending the cards out? I just wanted to let you know the qsl cards arrived yesterday for OC271. This one makes me 1096 confirmed and I have one outstanding. Thank you very much. 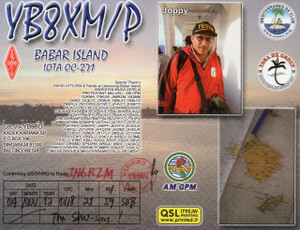 Today I received my YB8XM/p QSL card! weather. This is a relatively rare IOTA that many would like to contact. appreciated. Please distribute to interested amateurs. Yes Shu san...I will qsp to Steve...first I tell him that you manage only for JA land btw I believe Steve can manage all our QSL card. Please make a note of this change. 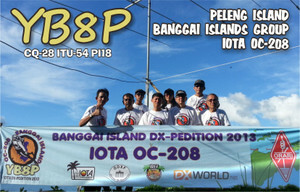 I have confirmed this change with YB5QZ and YB5NOF who are still en route to Palu from Luwuk after their successful IOTA Expedition to Peleng Island in the Banggai Islands Group OC 208. Thank you for your interest. 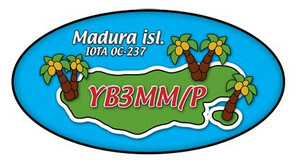 We hope the change in QSL route venue will make it easier for IOTA chasers to confirm this island and get a QSL. Donations are accepted via paypal or cash with a note : FOR BANGGAI ISLAND OC 208. The fund will be collected and forwarded to the team. 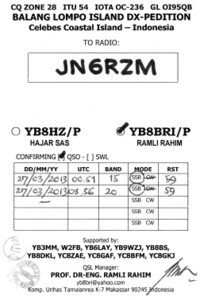 QRZ page has been updated. なお、W2FB SteveはIIHG(Indonesian Islands Hunter Group)の理事です。Nusantara Awardの発行者でもあります。　Thanks Steve-san! 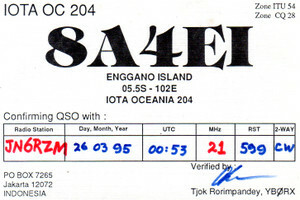 Willy the leader in (OE 1076 islands) and myself received your beautifull qsl . It's now my thousend sixtieth confirmed Island or groups for my Iota Award. Hi Shu, thanks for your mail and great ideas. If you have surplus items for school, please send to my postal address. Thank you for generous offer, it will be much appreciated. OC-208 Banggai Islandの進捗　(18.May.2013) For QRT ! We have not signal to Japan at The moment on 28 meter. Our Togian will be cancelled because we - Anton and I must be back to Pekanbaru for urgent traffic on our office, we can planning again on the next, after Natuna Selatan and Tambelan Island. Sorry for this case. Now Joni on 14.260 on phone. This night will depart to Sebesi Island OC-262 for survey. I hope I can QRV from there in the near future. Joni and Armen...tomorrow we going to Banggai at 11.00 by boat take 6 hours. to day we tray to get material for it especially balloon hope we can get it. *Note: Currently I have not QSL of YB3MM/6. After receive from printer company in Italy, it will OK. Maybe its need months. This is the conversation for me and YB5NOF John on Facebook. 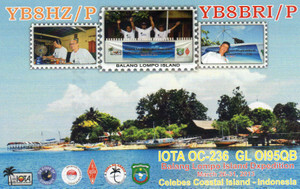 For OC-271 QSL cards and OC-208 Banggai Island plan, and OC-109 and OC-122 next plan. And please be safty!! Have your nice trip. John-san, Thanks, thanks! Good morning Shu San, last night, we have meeting with Member of Orari Palu, we will go to Luwuk mobile at 13/05 05.00 lokal time, our big problem is ANTENA, and to day we try to get it, on this case I hope you can help us with a good antenna for my next activity. It's very easy, I think so. The GDXF and IREF are supporting for your travel cost. We will be supporting for Spiderbeam antanna cost. Do not worry. I would like to deliver the strongest radio waves for East coast anytime. I and John will make their plan for OC-109 and OC-122 after OC-208. Many thanks for your kind e-mail! informations to you and your friends during our expedition? to use p.ex. SKYPE. We have W-LAN Internet present in our camp. Hope to make a lot of JA-contacts! Hope to hear you on the bands! Please try tonight agn around the same time, will hopefully get you there. > I am calling you on 21270 up5. > But no picked up. > P.S. I gathered 400USD over now. I don't know why in this moment there is so many activity on Indonesian IOTA. Lets burn burn burn spirit of IOTA !!! Now in Bunaken Island,Udin using YB8RW/P anot YB9RW. I try to send all of the other requested in direct or via paypal service sooner. I hope your have many patient for waiting OC-208 may need a long time to take of Banggai Island in this bad condition till now. By the way, inform for you that Mr. Kadek YB9BU as manager of Bunaken island OC-236 his as also my manager. 4. 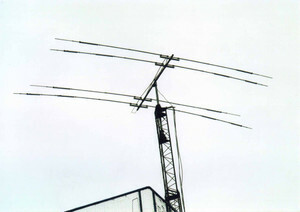 Antenna : Omny directional (not Beaming), Dipole. 5. QRV ; 160, 80, 40, 20, 17, 15, 10 mtrband in Amateur band DX window ; Mode :LSB-USB (2 way ssb), CW if any. 7. On site to the Bunaken Island : 09 May 2013 morning, TX 12.00 UTC. 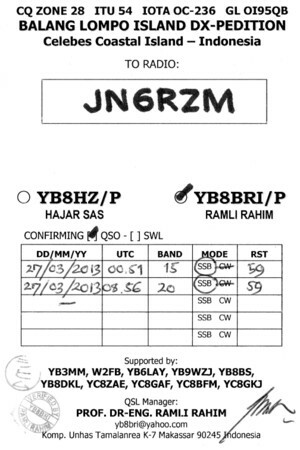 to be continue every time in the band than will be finish 12 May 2013 ; 24.00 UTC. No Internet line in this island (surveyed, 3 may 2013) but we will be effort to get solution in this case. YB8RW and his friends will be QRV from Bunaken Island OC-236 in 09 May to 12 May 2013 using the home calls like YB8RW/P. 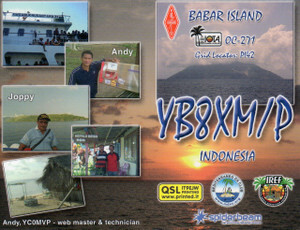 The Qsl Mgr for this activity is YB9BU. Pse help to relay this message to all IOTA chaser's worldwide. Yes,I was sent the cards for OC-271 in to your address via EMS this morning from all your list,pse wait. Adhi Bimbo Sorry everybody. Due to urgent job issue, I must rush back to Jawa to my job place to solve job's problem. I will back again to Madura within this month. Shuji Yamamoto You are welcome. Thank you very much Hajar-san. 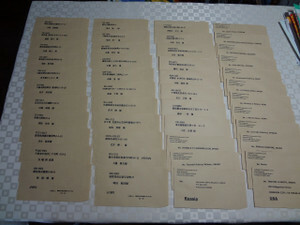 Shuji Yamamoto Please tell me your OC-242 DXpedition detail information. Hi Jacek, Are you in AS-073? 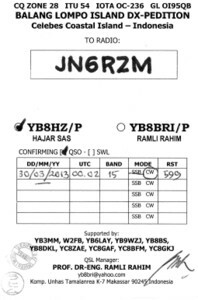 I worked 9M2SE at 0912UTC on 21026. Dayan YBsixlay Kan bagus kalo kelewatan border . Bisa nambah wilayah kita mas bro ! Shuji Yamamoto Hi Dayan-san, Please add to those DX peditions. But it's very far from Sumatra Island to Sebatik. 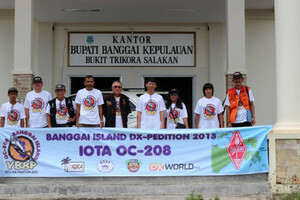 do you have a ideas to add your sponsor club Logo to our IOTA DX-pedition Banner ? together please send it to me ASAP. Pse let me know and I wonder are you registered for Yahoo japan Auction ? BTW I will always monitor if available in Yahoo Auction. Probably shu san can help to bid it. I will pay for the expense. Thanks es Your help much appreciated. as you know, out trip of the Solomon is getting closer. help the people of Nendo in the Temotu province. His plan for OC-208 Banggai Island YB8P is stating 16th to 19th, and for OC-213 Togian Island YE8P is starting 22th to 26th. By YB5NOF John, YB5QZ Anton and 2 persons.